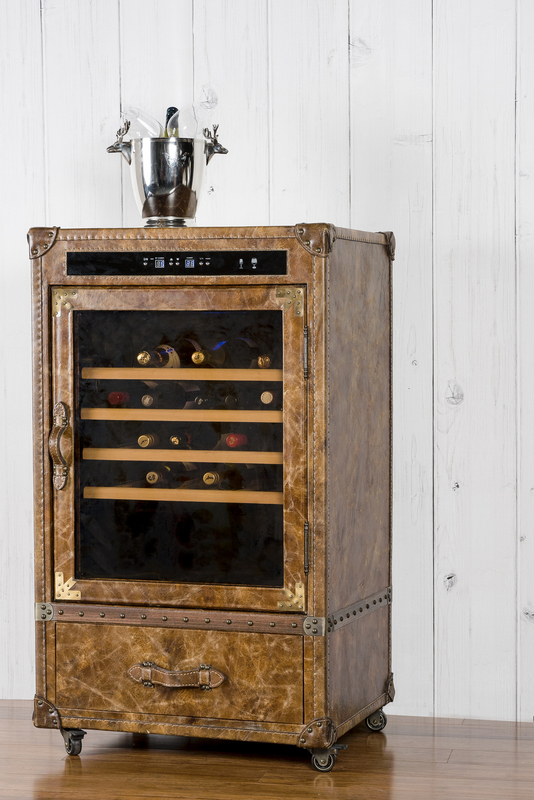 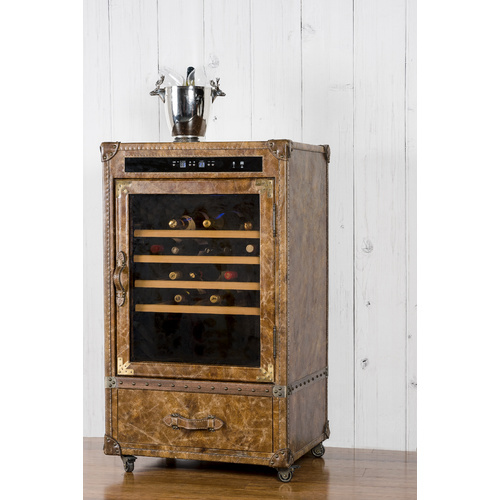 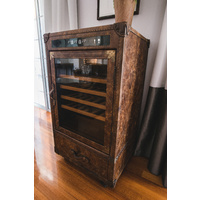 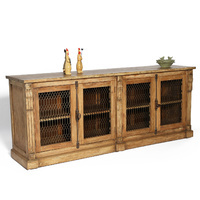 Climate controlled wine storage in antique leather. 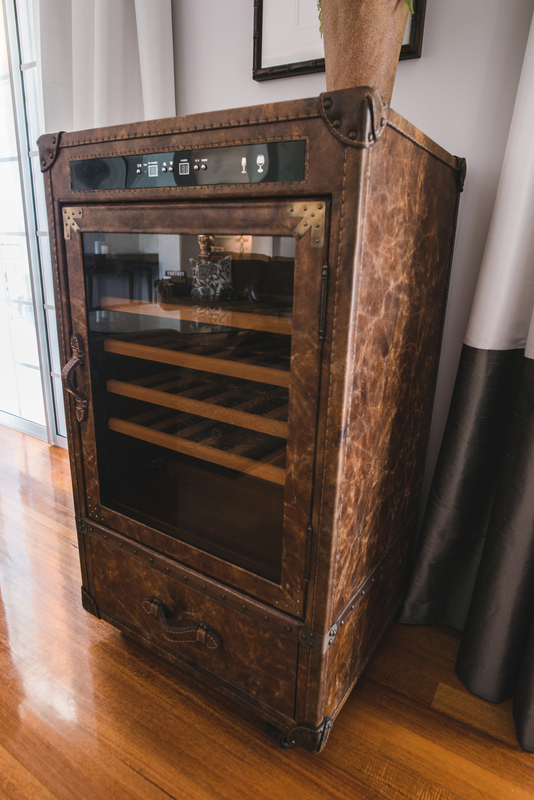 The ultimate wine storage solution. 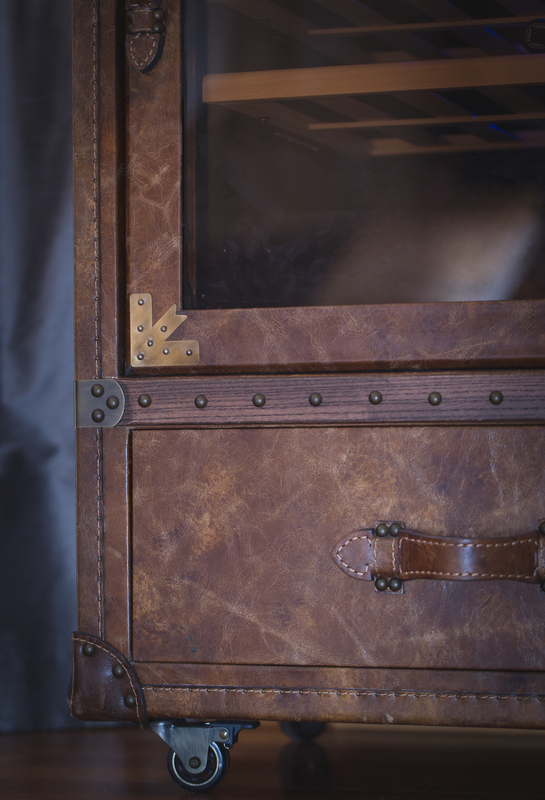 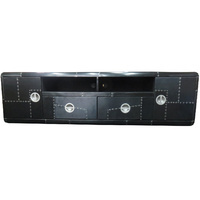 Climate controlled with antique leather and brass finish. 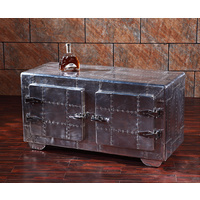 High quality with stunning looks. 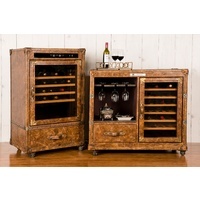 Comes with lockable castors for easy moving. 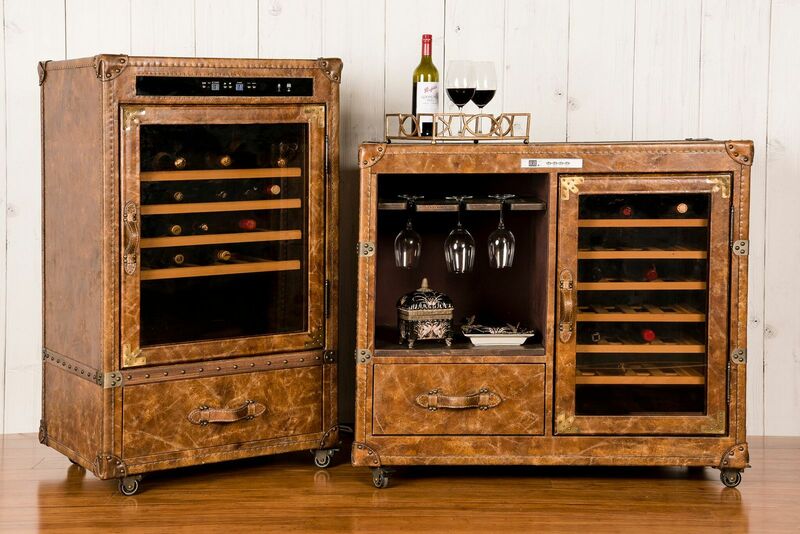 2 styles available - with or without wine glass racks.